Incumbents mostly won the day in Mississippi Gulf Coast primary elections on August 4th. The biggest surprise of the election came in the Democrat primary for Governor. Political unknown Robert Gray won the primary against the Democrat’s chose standard-bearer Vicki Slater. 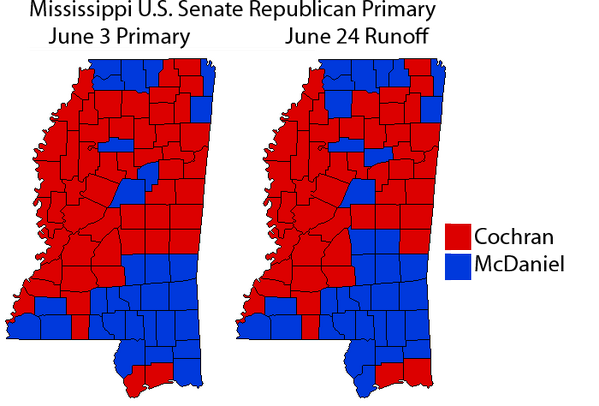 Slater, an accomplished trial lawyer and small business owner, had been the MS Democrat Party favorite and received the most endorsements of any of the primary candidates. Gray, a retired firefighter and truck driver, will face Gov. Phil Bryant and Reform Party candidate Shawn O’Hara in the November 3rd General Election. Complete results from the primary election are linked below. 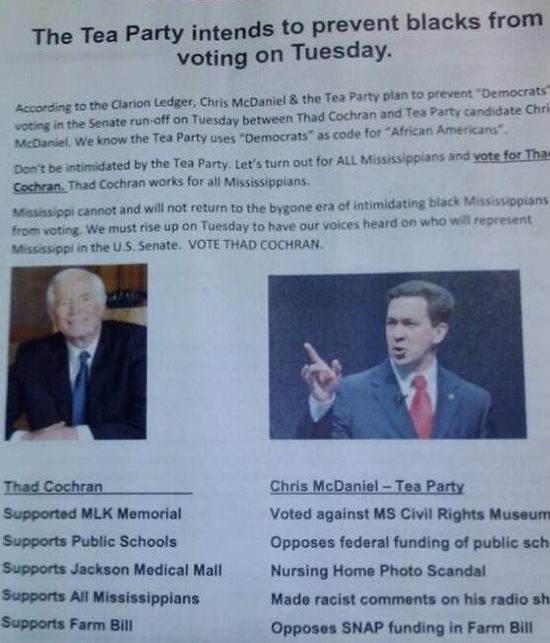 With Political Action Committees backing both sides, watch-out for misinformation and half-truths as advertisements and the media heat-up for the June 24th runoff election between Sen. Thad Cochran and state Sen. Chris McDaniel. 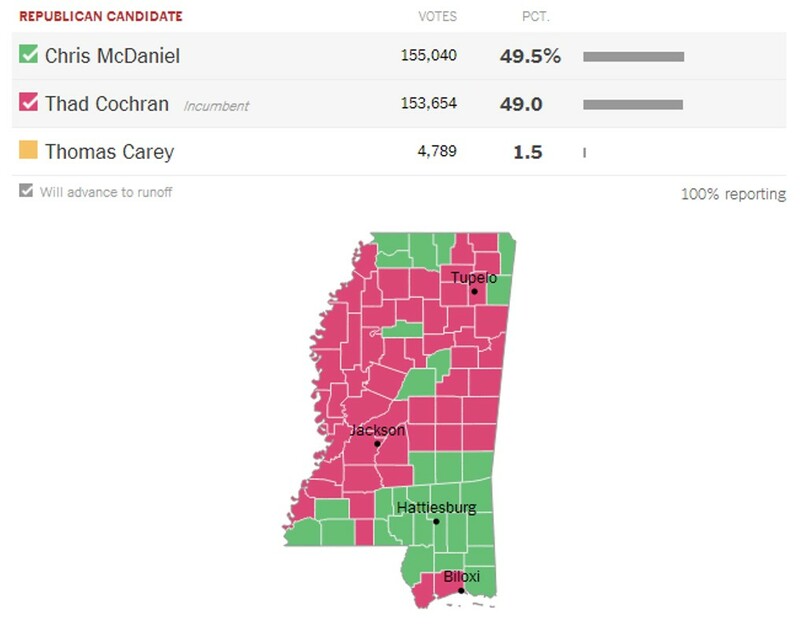 With McDaniel winning more of the June 3rd vote, the establishment backing Cochran is looking for some help from Democrats who sat out the June 3rd Primary. 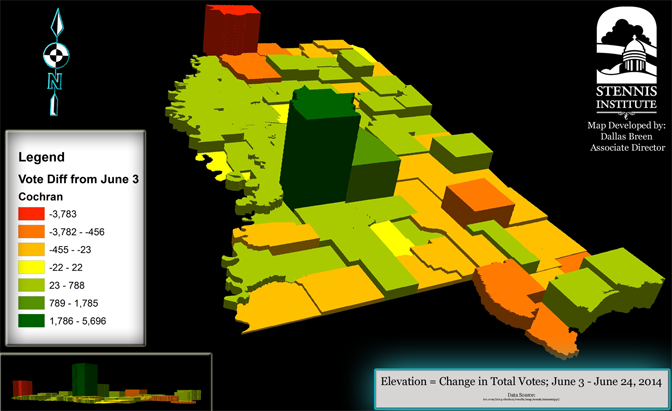 What seemed absurd two weeks ago may have helped Cochran’s momentum. Even gun-control advocate Michael Bloomberg gave $250,000 to Mississippi Conservatives PAC, the primary super PAC supporting Cochran’s reelection. The polling data only fuels the debate. One poll shows McDaniel with a 8-point lead. Two days later, another shows a dead heat only to be refuted by second poll the same day saying McDaniel has a 12-point lead. One opinion says Ingalls has shrunk during Cochran’s tenure while another says Cochran must remain our senator if the next ship is going to be funded. All the while, McDaniel is under fire for wanting to shrink the federal government. The big winners? Newspapers and Democrat nominee Travis Childers! HALL: Cochran’s attack to little too late? Can Thad Cochran get Democrats to pull him over the finish line?